NOTE: It's not gift-wrap packaging box. 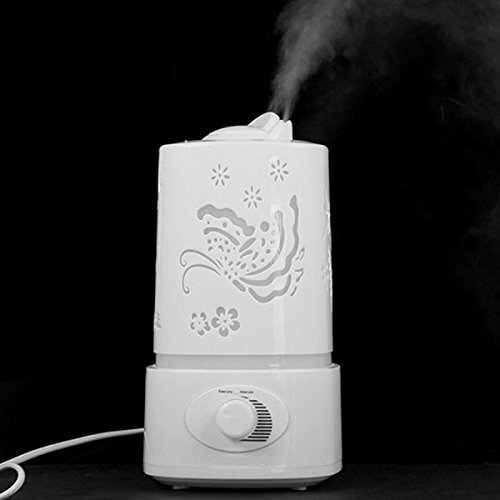 ❤LARGE CAPACITY❤ With 1.5L big capacity tank, you could leave the diffuser on all night and not worry about refilling. And it will shut off automatically when the water level is low. ❤7 COLORS LED LIGHT❤ The diffuser is exquisite with carving patterns on it. And 7 color LED lights create a soothing effect with their soft color changing. ❤DOUBLE SPRAYERS❤ With the double sprayers, you can adjust the amount of super heavy fog. It works quiet and is easy to clean. ❤UNIVERSAL APPLICATION❤ Can be used in beauty salon, SPA, yoga, bedroom, living room, conference room, office, reception center, corridor, pet room, toilet, baby room, hotel, hospital or any other private / public circumstance. ❤WONDERFUL GIFT❤ Don't be hesitate. It's a wonderful Christmas or birthday present for family, friends, classmates or colleagues! If you have any questions about this product by Lagute, contact us by completing and submitting the form below. If you are looking for a specif part number, please include it with your message.